The JUSTFOG P16A VV Kit comes with a build-in 900mAh J-Easy 3 battery and a JUSTFOG P16A Clearomizer of 1.9ml e-juice capacity. 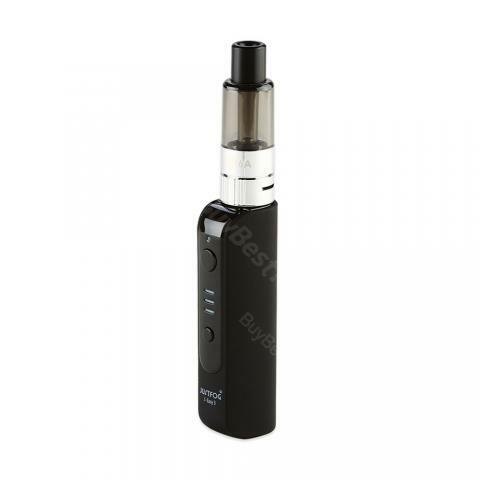 The JUSTFOG P16A kit features Bottom filling, bottom airflow control and variable output voltage in 3 levels. Available in Black, Blue, Green and Red. The JUSTFOG P16A VV Kit comes with a J-Easy 3 mod and a JUSTFOG P16A Clearomizer. The JUSTFOG J-Easy 3 mod is a built-in 900mAh battery mod, with 510 thread. The JUSTFOG P16A Clearomizer is 16mm diameter, with 510 thread and 1.9ml e-juice capacity. The JUSTFOG P16A kit features easy body-spinning airflow control, Childproof opening system, anti-spit back protection and battery protection functions. The P16 VV kit is easy to charge via USB cable and it supports variable output voltage in 3 levels. 100% EU TPD compliant and fours colors(Black, Blue, Green and Red) are available. There's really nothing negative I can say. Works very good for me. Schnell aufladbar, schönes handling einfach zu bedienen und sieht wirklich klasse aus. JUSTFOG P16A ist echt gut.